The bachelor thesis >customizable< deals with the question of sustainability in the fashion industry. The work was based on the personal thesis that garments in their known form are subject to a rigidity that conflicts with the human desire for individualization. To design clothes that will be worn for a long time, this rigidity has to be made more flexible. Clothes should be alterable and adaptable to the continuously changing wearer. Based on this thesis ten forms of clothing were developed in women and menswear, which allow different wearing options through flexible connections. 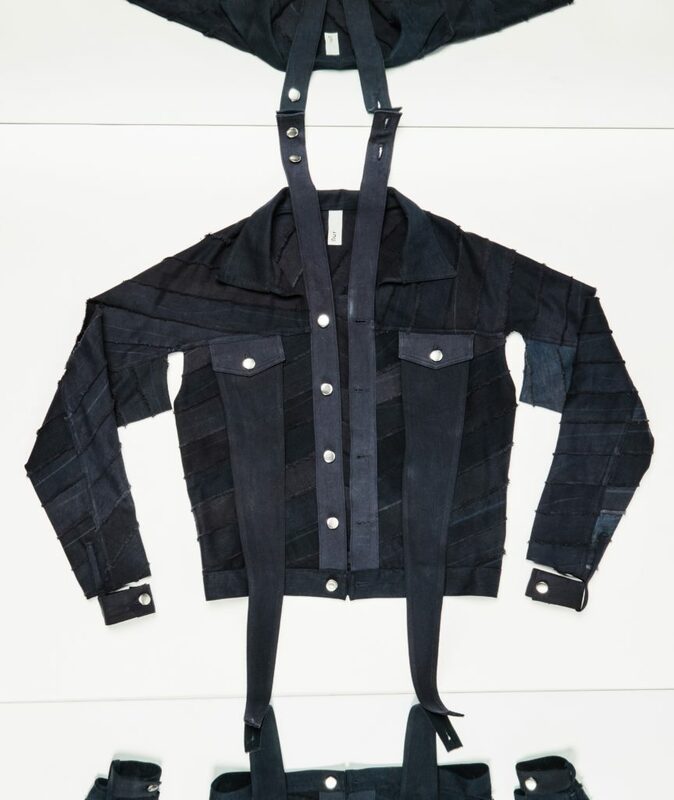 In line with the concept of sustainability, the garments have been created in a complex upcycling process that enables the reproduction of the collection and completely overhauls the aesthetics of old clothes.